The Helles Memorial is a commonwealth War Memorial as well as a place where the commemoration has been done for thousands of soldiers who died fighting for their nation. 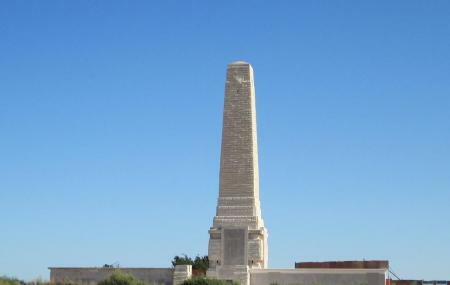 The memorial also has names of the brave hearts that were involved in activities all over the Gallipoli peninsula during the World War I and were buried in the seabed. There are more than 21000 names. The men mentioned here are Turks, Americans or the Australians of Helles. How popular is Hellas Memorial? People normally club together Gallipoli Battlefield and Kilithbahir Castle while planning their visit to Hellas Memorial.